Any questions for Mark Field? 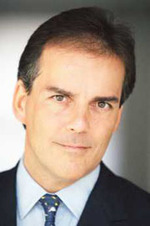 Mark Field is the MP for the Cities of London and Westminster. He was first elected in 2001 and has served as an Opposition Whip, Shadow Minister for London, Shadow Financial Secretary and as Shadow Minister for Culture and the Arts. He is now an active Backbencher. Before entering politics Mark worked as a lawyer prior to setting up his own publishing and recruitment firm. Mark has written for ConservativeHome on the lessons from Ealing Southall and grammar schools. If you have any questions for Mark please leave them in the thread below. Any questions for Peter Lilley? This morning the Globalisation and Global Poverty Policy Group has published its final report. 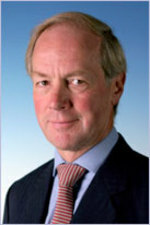 Its Chairman, Peter Lilley, has agree to answer any questions you have. Peter has been a Member of Parliament since 1983. His first ministerial appointment was as Economic Secretary to the Treasury (June 1987), then Financial Secretary to the Treasury (July 1989). He was then appointed Secretary of State for Trade and Industry by Margaret Thatcher in 1990 and in 1992 John Major made him Secretary of State for Social Security. After the 1997 election William Hague appointed him Shadow Chancellor in June 1997, and subsequently he was Deputy Leader of the Conservative Party. If you have any questions for Peter Lilley please leave them in the thread below. 601: Are the Olympics value for money? Do you think local eastenders will really benefit or will eastern Europeans take most of the new jobs? Only if they deliver a proper and lasting legacy for the whole of Britain. That means renewed emphasis on school sport and grassroots sport – but the latter has had its funding halved because of the lottery raid to fund – you’ve guessed it – the Olympics! So having won the Olympics on the basis of the “legacy” of the London games, the government is cutting precisely the budgets that will create one. On your second point, I have nothing against harnessing the talent of all those who work legally in London – the question here is why the government’s skills strategy is failing to equip British school leavers to compete on a level playing field with highly qualified immigrants. Editor: Former BBC reporter Robin Aitken (author of a book on BBC bias that I could not recommend more highly) has suggested that a small portion of the licence fee - 2% - be allocated to a new speech-based radio station that could offer a public service broadcasting alternative to the BBC. It could, for example, be based on our parliamentary and legal systems where two sides of debates are in charge of programming/ debating rather than the French system of law where we entrust one person to search for truth. The Moral Maze, Morgan & Platell, Hannity & Colmes, Sky's old Crossfire programme are all examples of what the station might look like. What do you think of this? Thanks for the recommendation Tim – Robert Aitken’s book is on my summer reading list. I think the BBC does a pretty good job on its non-political programming (by which I mean programmes like Planet Earth rather than ratings-chasers that could easily be produced by commercial broadcasters). I do have a problem with the way the “BBC world view” informs its political reporting e.g. a tendency to be pro-European, anti-American, anti-politician, anti-capitalism etc. Your idea of an adversial style of current affairs programming could be a practical way to tackle this. I also want the new BBC Trust to show us it really is independent by tackling these problems at source. Sally Roberts: What do you think is going to be the biggest challenge in your new job? Finding time to keep up with everything going on the world of arts, culture, sports, the Olympics and the media! This is one of the widest ranging briefs in the Shadow Cabinet, but luckily also one of the most interesting. I guess dealing with a higher media profile will also be a new challenge – going onto Any Questions the other week was the first time I did a panel-style political programme which I really enjoyed in the end. 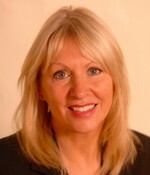 I am a London Councillor and the Cabinet Member responsible for Police and Community Safety in my borough. In my working life I am a professional economist. I have held two of the top advisory jobs in Central Government: Special Adviser to the Secretary of State for Employment and Special Adviser to three Conservative Chancellors of the Exchequer. I am regularly used by the BBC economics and business unit for programmes like Wake Up to Money on Radio 5 Live and I have an international reputation largely as a result of my economic journalism in the Wall Street Journal, The European and International Economy. ii) Do you think you have the common touch you need to be mayor? Yes. I see myself as an ordinary Londoner who shares the concerns and ambitions of most of us who live here. I was born in Barnet. My Mother had just separated from my Father shortly before I was born. I grew up in a single parent household at a time when single parents had little help and women on their own had a tough time – whether you are talking about getting a job to support a child or even being able to borrow money for a mortgage. I went to a comprehensive school. Until I was about 15 I had no interest in schoolwork and like a lot of boys did not enjoy anything to do with education. I think I am a down to earth, regular guy. Any questions for Matthew d'Ancona? Matthew d'Ancona is one of the best known political journalists in Britain. He was deputy editor of The Sunday Telegraph before being appointed editor of The Spectator in February 2006. Under his editorship the Spectator has launched its own excellent blog. If you have any questions for Matthew d'Ancona please leave them in the thread below. Any questions for Jeremy Hunt? 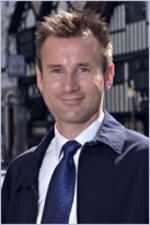 Jeremy Hunt was appointed the Shadow Secretary of State for Culture, Media and Sport in David Cameron's recent reshuffle. He was first elected to Parliament in June 2005 representing South West Surrey and was on the front bench within six months as the Party's spokesman for disabled people. Before entering Parliament Jeremy ran his own educational publishing company, employing 85 people. If you would like to ask Jeremy a question please leave it in the thread below or email it here.